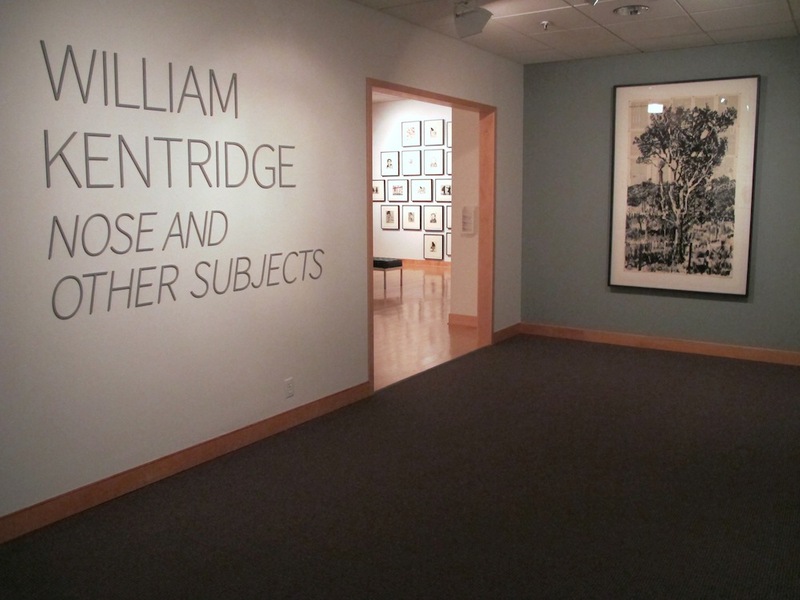 Syracuse, NY- The Syracuse University Art Galleries is pleased to present William Kentridge: Nose and Other Subjects, an exhibition that celebrates recent work from the renowned South African artist. Including work that illustrates his signature style of utilizing linocut blocks printed on dictionary and encyclopedia pages, as well as his dynamic combination of drawing, animation and film, Nose and Other Subjects contains over 35 original prints and a video installation shown on three large flat screens. Curated by SUArt Galleries Director Domenic J. Iacono, the artwork on display was selected from the collections of David Krut Projects and Marian Goodman Gallery, NYC. 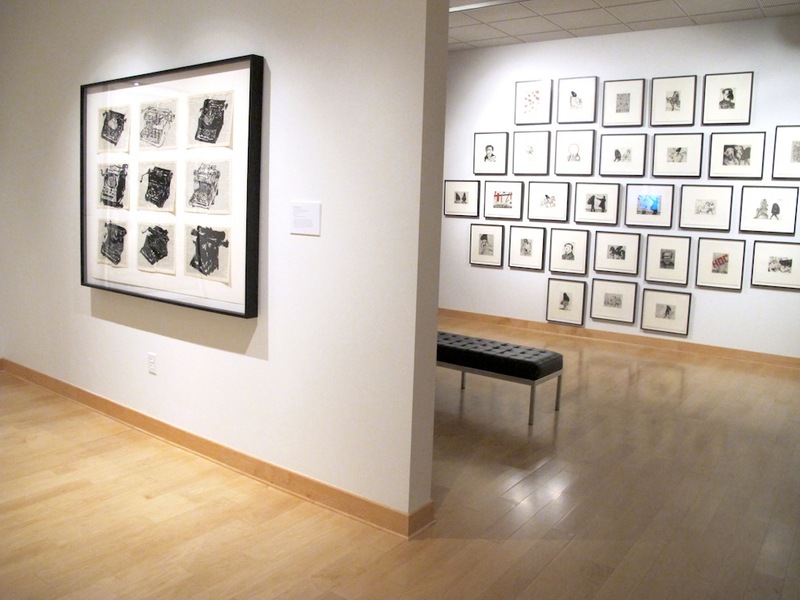 Presented in conjunction with the exhibition Arts on Main: Contemporary Prints from South Africa, this display continues the yearlong celebration of international art and artists at the Syracuse University Art Galleries. The exhibition will run January 30 – March 16, 2014, in the Shaffer Art Building at Syracuse University. Gallery hours are Tuesday-Sunday, 11 a.m. – 4:30 p.m.; and Thursdays 11 a.m. – 8 p.m. The SUArt Galleries will host a free opening night reception from 5:00 – 7:00pm on Thursday, Feb. 6. Patrons are welcome to view the exhibition until the gallery closes at 8:00 pm. The reception is open to the public. In recent years William Kentridge (South African, b. 1955) has achieved great fame for his prints, drawings, and animated films. Highlighted in the exhibition is his Nose Suite, a series of images based on the 19th century story by Nicolai Gogol about a pompous Russian official who wakes up to find his nose has left his face. The Nose is a comical and satirical story that has been interpreted in many ways, including society’s predilection for refusing to acknowledge something that is ‘as plain as the nose on our face, like poverty, corruption, or inequality. Kentridge not only used the story as the basis for the series of 30 prints which will be presented in the gallery, but he also created an opera based on the 1929 Shostakovich version of the story. The Metropolitan Opera Company in New York City presented the Kentridge version this past October, and the SUArt Film Series will be screening an encore presentation of this film on February 23 at 2pm. Other recent prints by Kentridge, including the iconic Telephone Lady (2000) and images from the Universal Archive series will be on view. In addition, one of his new animated films titled NO, IT IS (2012), a triptych of three flipbook films presented on large flat screen monitors, will also been installed in the exhibition.